Large - $80.99 X-Large - $64.99 Only 3 left! Okay, so maybe not everything that Ice Bear says in We Bare Bears is completely wise, but he always does come through with a great one-liner when the time calls for it. Now, you could be the master of the wise (and sometimes just plain silly) one-liner when you wear this We Bare Bears costume for adults. 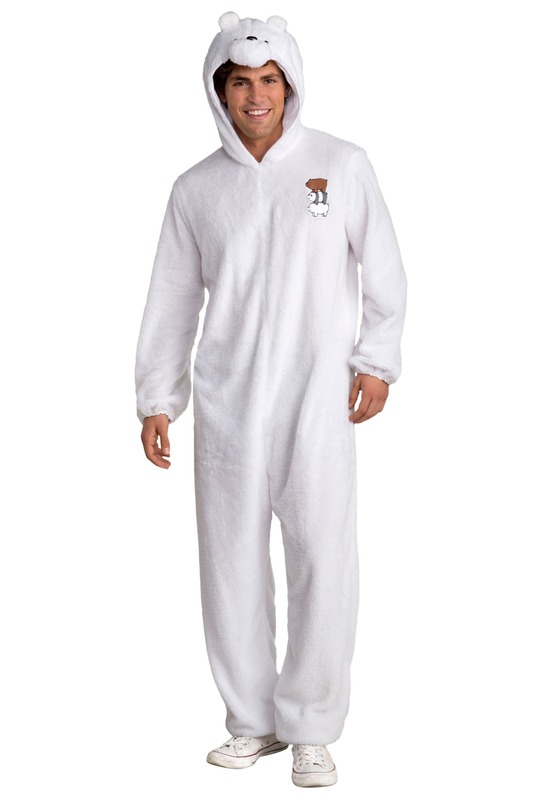 This Ice Bear costume is an officially licensed costume from the Cartoon Network show, We Bare Bears. The costume comes with a full-body jumpsuit made out of soft, white fabric. A small We Bare Bears logo appears on the front with Grizz, Pan Pan, and Ice Bear on it. The jumpsuit also comes with an attached hood that has Ice Bear’s face designed into the top, including a pair of stubby little ears, a pair of black eyes and a little black nose. Unfortunately, the costume does not smell like clean babies (unlike the real Ice Bear).